Over the years, I've become somewhat jaded about the seemingly endless flow of people telling us they are making new Bible-related films: all too often they are never heard of again. So I'm a bit surprised that of all of them, one that actually has gone the distance is Young Avraham. As its title suggests, Young Avraham is a story of the early life of the biblical patriarch, from his childhood to the point where he appears in the Book of Genesis. It's based on Midrashic tales but with an eye firmly on 21st century sensibilities. Anyway, whilst the film has been available on DVD for sometime now, it's having it's North American première on Sunday night (3rd April) as part of the Vancouver Jewish Film Festival. Having looked at whether David really existed, and whether God may have had a wife, BBC2's Francesca Stavrakopoulou moves back in time to tackle the question of Adam, Eve and the Garden of Eden. Or does she? Because at the heart of the final instalment of this series is Stavrakopoulou's hypothesis that the original Eden story had nothing to do with creation but actually referred to the Jerusalem temple and its fall at the hands of the Babylonian Empire. I must admit that even having studied this passage quite a bit in my younger days this was not a theory I'd heard before. Perhaps because quite so much debate rages as to whether or not the passage should be really literally, or whether it's all disproved by science, that the origins of the story rarely get a look in. The programme opens with a couple of talking heads, one a fundamentalist, the other a moderate, but we quickly move on to Stavrakopoulou's theory that "Eden was a real place built by human hands". Travelling to the British Museum she is able to demonstrate, from the stone reliefs that hang on the walls in the museum's ancient near east section, what gardens in that place and time were like. A few other pieces of evidence to show that gardens were a combination of the natural and the human-made. There's a brief foray into the understanding of Eden in Islam. Eden isn't on earth, it's heaven. Initially this might seem like a bit of a tangent, but the programme uses it to drive home the point that in the ancient near east gardens such as these were seen as places where heaven touched earth, and that the prevalent understanding of Paradise was that of a man made garden. But not just any old garden Stavrakopoulou tells us, "Eden was a garden built by humans for their god". It was a place on earth where God could come and be. A garden where God could walk around. If that's starting to sound familiar then the next part of the programme ratchets up the links still further. The only person traditionally allowed access to these gardens was the king. The king was considered to be a mediator between the gods and men, he was allowed into the garden to tend it and this is, of course, the role we find Adam take in Genesis 2. The conclusion? "Adam was originally a king too". It's at this point that the first other biblical expert is consulted - Nicholas Wyatt of Edinburgh University's School of Divinity. Wyatt looks at Ezekiel 28 casting a fresh light on verses 13-19, which are sometimes applied to Satan rather than a human figure. It's argued that Ezekiel 28:13-14 locates Eden on the holy mount of God, which is understood as Mount Zion, where the Jerusalem temple was located. The links here are a little tenuous and the correct interpretation of this passage lacks any sense of consensus, so it's a shame that the argument here is skipped over rather quickly rather than being buttressed by further evidence. In similarly brief fashion it's argued that the search of the whereabouts of Eden shouldn't be determined by the location of the River Tigris and the River Euphrates, but the River Gihon. This Stavrakopoulou tells us is in Jerusalem, where the water "bubbles up like a spring". The trouble is that, yet again, there is a wide divergence of views as to where the the Gihon is with numerous locations from Mesopotamia to Ethiopia being cited. I suspect that the way Stavrakopoulou is mapping out her argument is not the same route which lead her to the destination in the first place, which is probably fair enough. This is, after all, a mainstream television programme, on at a peak time. Whilst I would liked to have seen these things fleshed out a little more, there was only an hour available. Stavrakopoulou's destination turns out, as it happens, to be the ancient Jerusalem Temple. The cherubs marked the outside of both Eden and the temple. 1 Kings describes the horticultural theme in the temple's decoration, evoking thoughts of a garden where heaven might touch earth. Solomon's temple was "both mythical and real". Of course Stavrakopoulou would debate whether or not the first temple in Jerusalem was, in fact Solomon's, and there's a little blurring of the evidence here. We're told that the original temple was burnt, but it's also implied that it's this temple, rather than the one of the returning exiles and Herod the great, which stands in ruins today. But that's a minor quibble. It's at this point that some of the scholars from previous episodes re-appear, namely Herbert Niehr, Judith Hadley and Walter Moberly, because the film turns to the question of why the Eden narrative includes a vilified serpent and a woman. Stavrakopoulou ties this into some of the theories discussed in the previous programme. Originally the temple was used for several kinds of worship, and among them, she goes on to say, snake-worship. Such a proposal sounds controversial, but is, of course, largely based on the Bible. It's not until the reign of Hezekiah that we read of Moses' bronze snake being smashed because the people were worshipping it (2 Kings 18:4). The portrayal of the snake as the villain in the story of the Garden of Eden was a smear campaign to discredit such serpents worshippers. A similar campaign is also suggested to explain Eve's presence. At various points in the Bible we find wives blamed for their husband's failings (Solomon and Ahab are cited). Perhaps whichever king it was that is being portrayed by the original story (Jehoiachin presumably) was being accused of being unduly influenced by his wife. This casts an interesting light on Eve's initial absence from creation in the second Genesis creation account, but casts a shadow across the treatment of women in the three monotheistic faiths. So the thrust of Stavrakopoulou's argument seems to be that the story should never have been altered and inserted after Genesis' opening creation account. Rescuing it from this alien context may upset those of monotheistic faith, but it "allows us to engage with the real passions and the anxieties of people from long ago". The documentary concludes on a political note, if Jerusalem is where heaven touched earth and God came down "is it any wonder that no-one wants to give it up?" Of the three films in the series, I think this was my favourite, perhaps because the theory was sufficiently new to me that I not only found it interesting, but also wasn't able to find as many disagreements as others found. That said, those of us that reject a more literal interpretation of the story, don't feel that connection with its historicity. What the story came to mean is of far more significance that its historical referent, and, to be honest, it's strange that the programme is more captivated by the kernel from which this impressive tree grew, than the plant itself. However, I suspect that Stavrakopoulou just doesn't see the plant as being particularly impressive. Once or twice she suggests that it's this story that has caused Christianity (and perhaps the other monotheistic faiths) to take a negative view of humanity. Yet rather than the story creating our belief in the fallenness of humankind, its the other way around. The story resonates for us, and presumably whoever it was that ripped it from its supposed historical context, precisely because it reflects the fallenness we see as inherent in humanity. That's not to deny that there's good in humanity as well. Indeed the coupling of the Eden story with Genesis 1 creates wonderful balance: we are made in the image of God and animated by his spirit, and yet we also bring evil into his world. If Eden is heaven on earth, then its understandable why we yearn for it so, and why the Bible ends with a glorious re-imaging of Eden housing a renewed Jerusalem. Back in 2007 I spent quite a bit of time talking about the Friends and Heroes series that was being broadcast on BBC2. Four years on I've finally had a chance to see a handful of episodes of series 2 and 3. The original series was set in Alexandria and followed the adventures of Macky and Portia (pictured above). Macky is a Jewish Christian who by chance befriends Portia, the daughter of Alexandria's Roman governor Tiberius. Series 2 covers a new phase in Tiberius' career. He is now the general in charge of the siege of Jerusalem in AD 70 and has taken Portia with him. Macky on the other hand has travelled to the holy city to attempt to find the father of Leah and Rebecca from series 1. As with that series Portia and Macky are caught on opposite sides of the conflict as Macky fights with the rebels stuck in Jerusalem. On the basis of the two episodes from this series that I've had a chance to see it's difficult to compare this series to the original. That said the animation quality is broadly the same, and the style of the programmes seem to be more or less the same. However, the stories don't seem to carry the momentum of the previous series, though that is an inevitable consequence of watching them out of the context of the series as a whole. Series 3 brings things to a head as Portia and Macky find themselves in Rome. Macky has connected with the Roman underground church and the prominent Roman citizen, and Christian, Antonius. The series comes to a head with the Roman senate trying to execute Antonius whilst Macky and his new friends seek to free him. The final few episodes of this series certainly carry the kind of plot tension that made the first series so addictive. In particular the last episode is surprisingly absorbing as Macky attempts to save not only Antonius but a large collection of early Christian writings. The weak point of the first series was the 3D animated sections of the programme which portrayed the biblical episodes. Four years ago these sections were clearly inferior to the very best work in the medium, but not to the extent that it was a significant weakness in the series as a whole. Alas today, with the advances that have been seen over recent years, the 3D sections do look very dated now, to the detriment of the rest of the programme. Yet overall the series still exhibits much of what made it appeal to me back in 2007. 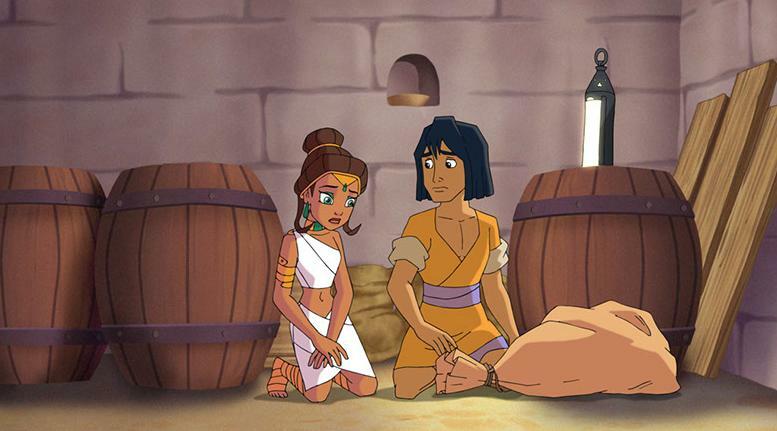 The way the story bridges the gap between the biblical narratives from the first century and today's culture is still a great way of making the biblical history accessible to younger children. The pacing and 2D animation are still very good. And even though its these final episodes which culminate in the stories of death and resurrection of Jesus, it avoids being preachy whilst still managing to explore difficult issues and challenge its young audience to a better way of living. The Bible's Buried Secrets: Did God Have a Wife? As the internet seems to have proved time and time again the more tenuous a given hypothesis is, the more those who defend it resort to peppering their arguments with confident-sounding phrases such as 'certainly', 'clearly' and 'undoubtedly'. In a similar vein I suspect that those seeking to promote rather dull, and fairly obvious theories resort to describing them with phrases such as "grounbreaking" and "revolutionary". Then again, it would be a mistake to extrapolate too far on the basis of one programme. Part 2 of BBC2's The Bible's Buried Secrets - Did God Have a Wife? didn't just resort to such melodramatic terminology in its opening abstract, but seasoned its entire run-time with such overblown metaphors. Time and again presenter Dr. Francesca Stavrakopoulou told us that what she was telling us "rocks [monotheism] to its core", is "the biggest secret of all" one that "shakes the very heart of monotheism" and "rocks the foundation of modern monotheism". The source of all this rocking and shaking is Stavrakopoulou's revelation that Israel was not always monotheistic. Whilst this may shake some fundamentalists and those who have only paid passing attention to their Hebrew Bible, such a conclusion is the only reasonable reading of the books of 1 and 2 Kings, not to mention Judges, Samuel, Chronicles and the prophets. Israel and Judah were frequently being chastised for worshipping other Gods. There's less unity behind Stavrakopoulou's claim that monotheism didn't emerge until the Jewish exile in Babylon, but the evidence to support such a claim is relatively thin. The odd archaeological find showing "God's wife" only proves that some of the Israelites worshipped a female deity. It hardly proves that this was the belief of the entire nation, nor even a significant percentage. Part of the problems here seem to come from a implied theory that the various parts of the Hebrew Bible present a united front. There are of course many who would hold to such a theory overall, but few who really knew the subject would insist that "the story the Bible tells us" is of a nation who were monotheistic from God's very first words to Abraham, apart from "occasional lapses". In reality, the Bible accuses the northern kingdom (Israel) of being almost entirely idolatrous from the moment Solomon's Empire divided. What's strange about this presentation is that despite Stavrakopoulou explaining in the previous programme about the split between Judah in the South and Israel in the north, and about how Jewish writers may have attempted to smear their rivals in the north, none of this gets a look in. Israel is presented in the documentary as if it were a united nation from the time of Abraham to the exile. Yet Israel no longer even existed by the time of the latter event. The experts were also a little disappointing this time around. In the traditional corner was Rabbi Ken Spiro, who is heard saying that his message is "not PC" before he has even been introduced. He pops up again and again to presumably to provide a bit of balance, but the excerpts included don't really present him as having credible reasons for his disagreement. There's also a couple of brief clips of Walter Moberly, who doesn't say a great deal, and of Islamic scholar Muhsin Yusuf in the programme's brief, and seemingly token, mention of Islamic monotheism. And there are also brief words from Judith Hadley and Ze'er Meshel. But the main scholarly contribution is from Herbert Niehr who is agrees with Stavrakopoulou to such an extent that at times they seem almost like an unlikely double act. That's not to say that the programme was not interesting. I picked up several things that I had not known before from the nature of the archaeological artefacts at Ugarit to the pottery finds linking Yahweh and Asherah, though the latter didn't really strike me as "the most important artefact in the history of God". And it was good to see that the programme had made a late correction to incorporate the news that this once lost piece of pottery looks to have re-emerged. As with the first instalment the technical quality of the documentary was very good: nice images, reasonably good pacing and catching an archaeological dig as they uncovered something must have been particularly pleasing. But the arguments here are just far too overblown so that rather than developing the understanding of a wide range of people, both believers and sceptics, the film is so couched in melodramatic language that only DanBrown-o-phile conspiracists will take its information seriously. I hadn't realised until just now that a new DVD of Schöenberg's "Moses und Aron" was released at the end of the summer last year. From looking at the Amazon blurb, it appears to be a filming of the live opera version from what I can make out, but I'm not sure whether it has audience applause or not. It was the Ruhrtriennale 2009 production that was filmed. There is an earlier live recording of the opera but I can't quite work out from the costuming how dramatic the production is. This newer 2010 version looks to have more dramatic movement. Hopefully this new version will be a little easier to watch than Straub and Hulliet's version. That version, which is more of a film in its own right, is a fine demonstration of ultra-formalism, which certainly has its own strengths, particularly given the themes of the opera, but it's also very though to sit through. Personally I'd be interested in seeing a version that could help me wrap my head around what Schöenberg is trying to say, which would help me understand the Straub and Hulliet film a little more. The Bible's Buried Secrets is the latest in a long line of modern BBC documentaries about the Bible going back to Son of God a decade ago. Like the 2001 series The Bible's Buried Secrets has been produced by Jean-Claude Bragard who also worked on The Miracles of Jesus, Moses and Mary. This series starts with David and Solomon and presenter Francesca Stavrakopoulou starts off by asking "Can we even talk about a historical David at all?" There are a few introductory preview clips before Stavrakopoulou sums up what the programme will be about. "Is the biblical account of King David true, and what are the consequences if it isn't?" As usual with this type of documentary the presenter tours round the relevant locations switching between speaking to experts and monologuing into the camera. Thankfully though Stavrakopoulou avoids the all too typical manner of presenting the programme as if she hadn't a clue about what she's just been told. Just as well given Charlie Brooker scathing dismantling of the modern day documentary in last Tuesday's final instalment of "How TV Ruined Your Life". Instead she played it smart, allowing the archaeologists to speak for themselves and then discretely offering her disagreements once they were off camera. Such an approach typifies the technical quality of the programme. It was nicely shot, clearly argued and well structured, working through the different historical layers of archaeologists before Stavrakopoulou delivered her own conclusion. Stavrakopoulou's journey starts in Gath in conversation with Aren Maeir. The Philistines he tells us weren't barbarians they were actually very cultured and we have found remains of their cities. If the Bible's history is correct then we would expect similar finds in Israel. This is followed by a summary of the work of Yigael Yadin whose work in the middle of the last century concluded that biblical archaeology confirms the narratives found in the Hebrew Bible. Yet whilst Yadin's view were dominant going into the 1970s, his work was eventually re-evaluated, and shown to be rather limited. Israel Finkelstein takes up the story from there. Yadin's finds were significantly later than he calculated. The film rather skims over things here, and it leaves me with more questions than answers, which I suspect might pass many other viewers by. Stavrakopoulou alternates between experts in and out of agreement with a simple reading of the texts. After Finklestein comes Yosef Garfinkel at Khirbet Qeiyafa which he describes as "biblical Pompeii". The large city gates are an indicator of some form of semi-complex statehood. But there are questions about the dating and so Stavrakopoulou investigates the evidence that it was Omri, not David, who was responsible for much of the building in the region from that time. This section includes discussion of the Tel Dan Stele which refers to the "house of David" but she remains rather sceptical. After that diversion it's back to Jerusalem where Doron Spielman claims to have found David's fortress after taking a closer look at 2 Samuel 5:17. Finkelstein dismisses Spielman's whole approach but doesn't offer a great deal of evidence to explain why the site definitely isn't related to David. Stavrakopoulou's penultimate interview is with Baruch Halpern. Halpern is clearly of great importance. Not only does he get to have a nice meal at the King David Hotel (geddit?) rather than having to explain his theories in a dusty archaeological site, but we also see Stavrakopoulou getting dolled up beforehand. It's the most disappointing moment in the whole programme and undermining her credibility as a scholar. We never saw Robert Beckford doing his hair or Jeremy Bowen trimming his moustache, so why this? We get that Stavrakopoulou is far better looking than the average Biblical Scholar; there's really no need to show us her doing her make-up. Doing so just gives further support to what many will have suspected: that she was chosen to front the series primarily because she's good looking. It's a shame to undermine her academic intelligence and skills as a presenter in such a, well, pre-historic fashion. That said, interviewing Halpern inside does make a modicum of sense, as he discusses how to read the texts rather than simply deal with the archaeological evidence in a black and white fashion. Halpern's argument is that the type of warts-and-all material we have on David seems unlikely to be entirely fabricated. It's unlikely that someone would make a mythical character quite so flawed. Ultimately things conclude rather disappointingly. Stavrakopoulou dismisses Halpern's theories, preferring to advance her own. The Mesha Stele tells us about the exploits of the Israelite king Omri, almost entirely ignored by the biblical authors. It was he, not David, that expanded the kingdom and built many of the structures we find in Northern Israel (though the identity of builder of the Jerusalem structures is not explained). It was the southern nation (Judah) that wrote the history and they largely expunged the prowess of Omri and invented a series of myths about their own great, expansionist king - David. As a theory it's not entirely satisfying to me. Why was the builder of Jerusalem's fort not named in the Bible and elevated to mythical status? Isn't it likely that the now carbon dated seeds found at one of the structures simply show that the site was still in use a century or so later? This being the BBC things have to end on an ambiguous note, and as usual there are comments (this time from Yonathan Mizrachi) about how the archaeological evidence or lack thereof shouldn't be used to stake a political claim for the land and Stavrakopoulou concludes rather weakly that what's important is that its the "meaning of the story that has proved so resilient" and so on. It feels very token, somewhat like the unconvincing endings to various production code era Hitchcock films. Whilst, based on the evidence I've seen here, I disagree with the film's conclusions, it's nevertheless one of the better made and better presented religious documentaries I've seen in recent years, and, aside from that one particular disappointing moment it respects its audience and doesn't talk down to them, covering a good deal of ground in just under an hour. 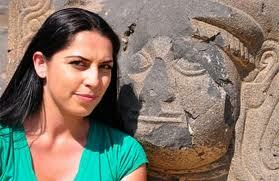 Next week Stavrakopoulou will explore the possibility the God may have been assigned a wife. 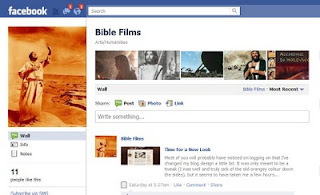 A place for everyone to share news items related to Bible Films. I'm indebted to the many kind people who send me links to new projects, or information about films that have just come on to DVD or are now available online. The problem is that when I get busy it takes me ages to post them up - for some bizarre reason I don't feel like I can just post links on my blog, whereas in Facebook this will work well. Best of all however, it will allow those who email me to tell me about something, just to post it direct on the page's wall. So next time, you discover something, please go to the site and post it. A place to connect. One of the things I love about running my blog is making contact with others who are interested in the subject. But I'm aware that it's harder for those folk to connect with each other. Hopefully the people that "like" the page will also find it easier to connect with each other. My intention is, of course, to keep this site running. 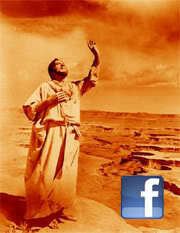 Facebook has its advantages, but you get less flexibility and it doesn't suit longer pieces. The idea is, then, to continue to post reviews, scene guides, thoughts on particular films etc. here - hopefully giving this site a more in depth edge - and also running occasional news updates collating some of the things getting posted over at Facebook. The hope is that those who already use facebook will find this is a simple and organic way to join in and contribute, without meaning that they have another site to keep tags on (as updates should appear in your news feed) without leaving those who "don't do Facebook" out in the process. It may well be that things don't quite work out as I envisaged and if so I'll look to adjust things as and when. I'm open to hear any feedback or advice that people have, so feel free to leave any comments below. Most of you will probably have noticed on logging on that I've changed my blog design a little bit. It was only meant to be a tweak (I was well and truly sick of the old orangey colour down the sides), but it seems to have taken me a few hours! At some point I'm going to do a much bigger overhaul, but for now this looks a little less unfashionable. I've also added icons towards the top left forfollowing me on Twitter and the newly created Bible Films Facebook page. I've got quite a few ideas for that so when I've categorised them a little more I'll share them here. For now this will have to do. It's amazing how quickly things change. When I was growing up the cutting edge of religious film was watching a grainy copy of Treasures of the Snow on VHS. These days things are very different, not only have laptops, projectors and video clips become commonplace, but slickly made DVDs have replaced the rather banal adventures of Lucien and Annetts. For my money The Easter Experience series ups the stakes even further. 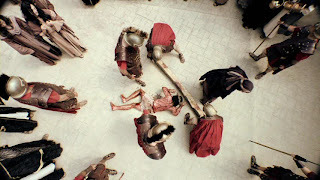 It's very much made with the same kind of care, attention, evocative lighting and high quality cameras that are found in Rob Bell's Nooma videos, but since much of the footage is a recreation of 1st century Jerusalem, then there are all kinds of additional factors such as costumes, make up and sets that producers City on a Hill have managed to get right as well. The Easter Experience is basically a 6 part DVD based small group course. The DVDs come with a resources CD, and a group leaders book, around which to structure the sessions. The core of each session however is the 20 minute film that explains the theme. The videos are fronted by Kyle Idleman, and whilst his voice plays throughout each film, the images change from shots of the action to shots of him sat on set as if he has entered Jesus' world. Some of the dialogue can also be heard in the recreated sections. It's unfortunate that Idleman immediately reminds you of Rob Bell. The films exude the same quality and commitment to doing things right. Both Idelman and Bell are youngish leaders of big churches. They are both good-looking, fashionable and good in front of a camera. Their theology may differ, but it's hard to see The Easter Experience without thinking of Nooma even though the two projects are entirely different. A more significant influence on these films would appear to be The Passion of the Christ. Certainly set design and lighting have been inspired by Gibson's film, and this is certainly not a DVD series that shies away from Jesus' suffering. Idelman's church is inerrantist so it's no surprise that those who had concerns over the portrayal of the Jewish race in The Passion will be a little uncomfortable with the occasional moment here. The series works its way through the event leading up to Jesus' death and his resurrection. Part One - My Life has a Purpose - tackles Jesus washing the disciples' feet and contrasts it with the actions of Judas who is arranging to betray his master. (As an aside, Judas looks like the offspring of Colin Blakley and Peter Dinklage). Session Two - My Life Can Change - looks more at Peter's betrayal and (ultimately) his restoration. 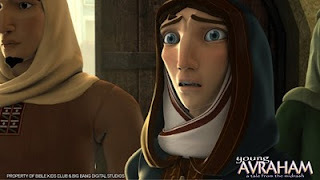 Three and Four - My Pain is Understood and My Life has a Plan - explore Jesus' suffering and crucifixion, partially through Mary's eyes in the latter episode. 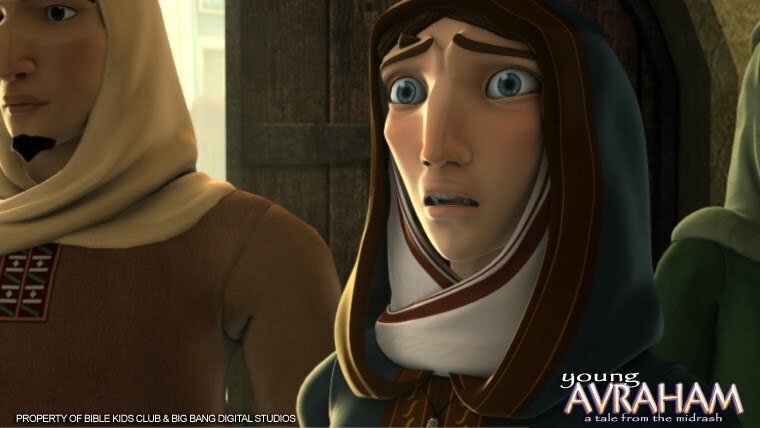 The fifth episode - I Have the Promise of Eternal Life - focuses on the repentant thief at Jesus' side. Idleman speculates here as to the thief's prior life, intending to ultimately enable the audience to relate to the character and make the link between him and them, and Jesus' forgiveness of both. Finally, as would be expected, the final session - My Hope is Secure - looks at what Jesus' resurrection means for us today. Perhaps the series' biggest weakness however is the actor playing Jesus. Of course our opinions over portrayals of Jesus are highly subjective, but personally Shane Shooter's portrayal just didn't hit the mark. Sooter is also the film's director and I don't think is ability in front of a camera matches his talent behind it. 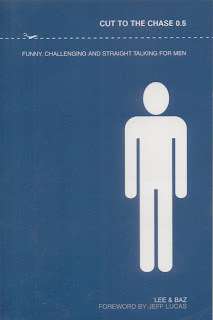 But overall this is a very good series of films, and perhaps the best DVD small group course I have ever come across. The theology is more conservative than my own, but its message is certainly communicated well and the images are beautifully shot. It might be pushing it to buy this in time to run a lent course this year, but it would be just as suitable for a Holy Week programme, or even small group seeker-friendly course at any time of the year. Trailers for each episode are available to view online. 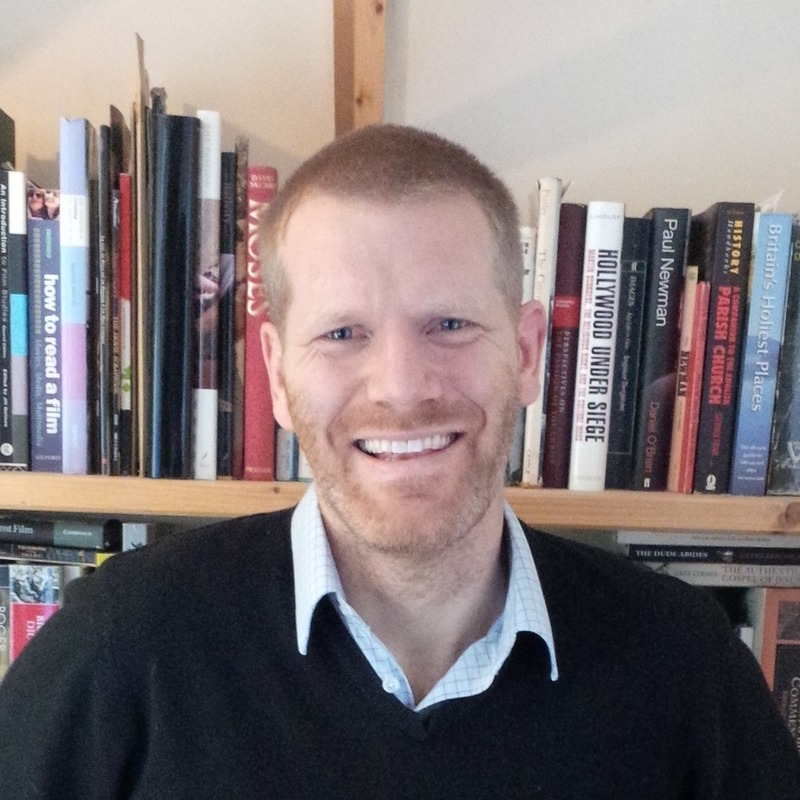 Matthew Crowe has posted February's Biblical Studies Carnival up at his A Fistful of Farthings blog. There were times in the past when I pondered whether I should offer to host one of these but no more. How anyone finds enough spare time to read, digest and create the links for one of these mega carnivals is beyond me. So full credit to Matthew for all his efforts. The Top 10 (by vote) and Top 50 (by Alexa ranking) have also been posted.